Grateful. That's what I am. I am grateful to have discovered running, and I am tremendously grateful for the people and experiences it has brought into my life. It has given me a different perspective on things. I have always been a very curious and adventurous person, and running fits into that perfectly. While some may be content to stand at the top of the Grand Canyon and look over at the other side and marvel at this wonder of nature, for years now, I have had a strong draw to see the Grand Canyon from a perspective very few experience - up close and personal. I want to touch the walls of the canyon. I want to stick my hands in the river at the bottom. I want to feel the same burning in my legs and lungs that others have felt when attempting to traverse this amazing place. And this year, I am going to attempt just that. I, along with a few of my brave (some would say demented) cohorts are heading to the big ditch this fall to pay our respects to mother nature and soak in as much of her beauty as possible. 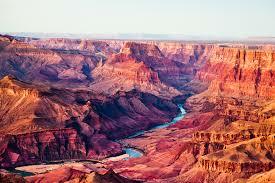 We are heading to Arizona to attempt the double crossing of the Grand Canyon. I say "attempt" because there is absolutely no arrogance involved in this endeavor. Yes, we have many ultra marathons between us. Yes, we have spent quite a few hours inside the "pain cave" as they say, BUT...we also have the utmost respect for the challenge we are undertaking. The double crossing is approximately 46 miles long. Starting at the south rim, descending S. Kaibab Trail, crossing the bottom, ascending N. Kaibab Trail, then turning around and doing it again, this time, ascending the south rim via Bright Angel trail. After 23 ultras, including 4 - 100 milers, this is by far the scariest thing I have ever undertaken. And I can't freaking wait. When I attempted my first ultra - a 50 miler - I did not know if I could finish it. When I attempted my first 100 miler - I did not know if I could finish it. Now, barring freak injury, I know I can do these things. They are still enticing because I always want to do them better, but to have a big unknown on the schedule is exciting to me. I am a big fan of self sufficiency, and the double crossing embodies this for me. The motto of the Canyon is "Going down is optional. Coming back up is mandatory." There is no back up plan. It is up to you to make the right decisions to insure your safe return to the top and to safety. I can't express my excitement for this endeavor. So, as my partners in crime and I contemplate a long summer of hills, hills, and more hills, all is right in the world. Stars are finally aligning in my life. My trail running company, Paix Running, is growing and my races are getting great buzz, my kids are healthy and happy, and my son (18) is doing his first 50k next February at Red Dirt. Life is good, y'all! I will attempt to keep you posted on my R2R2R training - if I can stay awake long enough :-).